Hi, and welcome to the Midtown Buzz Events Calendar. We expect to begin posting some measure of events this month and expanding over time. Thanks for your patience. The Farmers Markets and Street Fairs sections contain links to pages that are up-to-date. We got a small start on the Restaurants and Shopping sections and professional services. Most of the other sections still need a considerable amount of work. MARCH is the month of the Equinox & the NYC St Patricks Day Parade. In Manhattan there's plenty to do in the parks, at the farmers markets and street fairs, and cultural happenings abound. 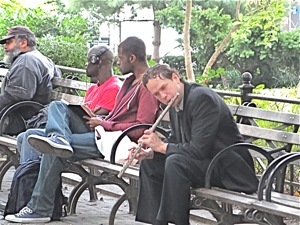 Above is a photo taken in Union Square Park in the Village in September of 2013. Use search to find prior stories, maps, photos and business listings. Search coming soon. 68th Lexington Avenue at 25th Street 10010. Fountain Art Fair.com. Solo exhibition / installation by Texan. From 2 - 5 pm. Rsvp to meet the artist at 201.390.3669. Coohaus Art is at 547 W. 27th St, #301 in NYC. Hours Sat 11 am - 6 pm. At 125 West 18th Street 10011. The Fair Office is at 20 West 22nd Street / Suite 1512 New York 10010. Affordable Art Fair.com. From 4 - 7 pm. Two models for three hours. Noho / M55 Art is located at 530 West 25th Street #408 in Chelsea NYC 10001. Admission $20. Must rsvp to limey47 at tiac.net. 212.367.7063. Opening receptions from 6 - 8 pm on first and last days. Eight artists in group show. 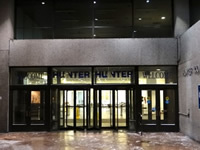 Gallery 35 is located at 30 East 35th St in the Murray Hill neighborhood of Manhattan. 917.566.0708. Other than receptions, gallery open by appointment. www.gallery35nyc.com. Click for Museum of Modern Art map / contact / website link. Admission $25 / $18 / $14 students. From 1 - 9 pm. A art / cultural festival off the #7 subway line by same name. Admission. Museum Admission $15 - $20. Click these links to view contact info, hours, map & link. Begins at 3 pm. Coming soon. 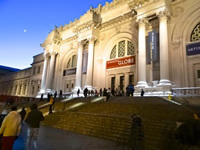 Click here for a listing of the Frick Museum on the Upper East Side NYC. MTB SEARCH - contains 3 search categories - scroll down to see all Search Coming soon. Click the header above for Manhattan Business Meetings, Events & Workshops or this link to go to the Business section of this site. MTB SEARCH - contains 3 search categories - after entering the search terms, scroll down to see all results. Search - coming soon. 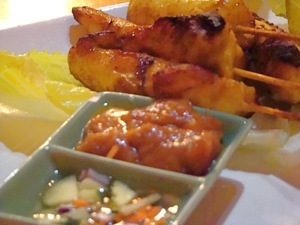 See restaurant reviews in the Midtown Buzz Restaurant Reviews section of this site. 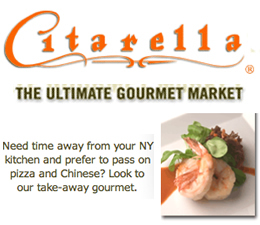 Click here for restaurants in Gramercy Park. 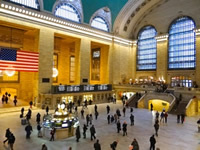 Runs all day long in one of the wings of Grand Central Station at Park Avenue between 42nd and 44th Streets. Runs all day Saturday & evening and all day Sunday. 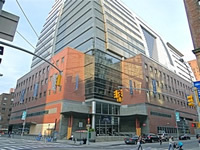 At the Laurie M. Tisch Center for Food & Education policy at Columbia Teachers College 525 West 120th Street. 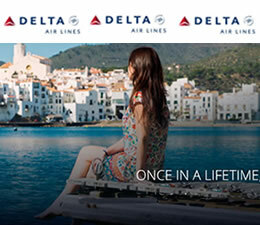 Ticket prices range from $45 - $185 depending on the program. 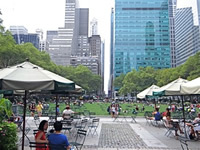 Saturday programs dispersed in Manhattan, Saturday night hosted by the Durst Organization at 1 Bryant Park. And Sunday at the Columbia Teachers College as noted above. MTB SEARCH - contains 3 search categories - scroll down to see all Search - coming soon. Click for info about Manhattan Farmers Markets opening & closing dates 2014. Some Manhattan farmers markets are sponsored by the City of New York Department of Parks and Recreation, Grow NYC, Local Harvest & Down To Earth Markets. * Need to confirm the 2014 dates, but the days and times are generally the same. You may also use the search function to find a report on CSA's [Community Supported Agriculture in Midtown - TBD]. 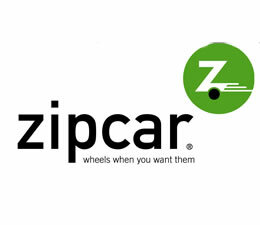 SATURDAYS: 8 am – 2 pm. Farmers Market Location: Hudson and West 12th Street in the west village of NYC. WEDNESDAYS: 8 am – 4 pm. Location: 47th Street and 2nd Avenue - Manhattan Farmers Markets. SATURDAYS: 9 am – 2.30 pm. Location: 82nd Avenue between 1st & York Avenues. SUNDAYS: 9.30 am - 4 pm. Location: 14th Street loop between 1st Avenue and Avenue A.
SUNDAYS 9 am - 6 pm. Location: Tompkins Square Park at Avenue A and East 7th Street in Manhattan NYC. THURSDAYS & SATURDAYS 8 am - 5 pm. Location: Columbus Avenue and 66th Street on the Upper West Side of Manhattan NYC. Location: North and western sides of Union Square Park in the Manhattan Village of NYC. MONDAY & SATURDAYS 8 am - 6 pm. SUNDAYS 9 am – 5 pm. Location: Columbus Avenue between 78th and 81st Streets on the Upper West Side of Manhattan in NYC. See nearly 200 new films from around the world. Theater locations are: Main Ticket Office at 54 Varick Street, Bow Ties Chelsea Cinemas 9 at 260 West 23rd Street [between 7th & 8th Avenues] and AMC Loews Village 7 at 66 Third Ave [at 11th Street]. Admission for all events is $1200 / for April 21 - 26 Innovation Week $399 - $699 / $450 for 20 tickets / $250 for 10 tickets / $40 for one and they start at $9 / $17 for matinees and late nights and $30 for talks. Tickets go on sale April 8th or 9th. Begins at 7 pm Friday and 12 noon Saturday. Eleven films will be screened including two animated shorts, eight documentaries and a French Anti War classic entitled Forbidden Games. At the All Souls Unitarian Church at 1157 Lexington Avenue NYC [between 79th & 80th Streets]. Admission free, but rsvp to info at nyfilmfest.com or call 917.692.2210. www.nypeacefilmfest.com. Details to come unless this is an April Fool's joke. The Friars' Club is a private club located at 57 East 55th Street between Park & Madison. 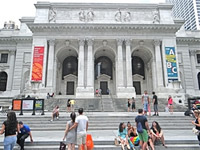 NYC Public Library - Busines Library? Begins at 3 pm Click for NYC Public Library contact info, hours, map and link. Coming soon. 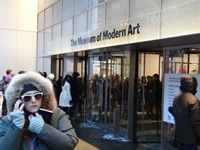 For More Films - Also see MOMA & Metropolitan Museum of Art in Art section above. FREE MOVIES IN Manhattan PARKS. Click for listing of free movies / films in Queens Parks - free movies in Manhattan parks. Also see KIDS / PARADES section below and ART section above. Click here for maps & info about Midtown NYC History. TBD. Admission free. Click here for a map of King Manor in Jamaica. Begins at 12 noon. Admission $75. Suggested donation . 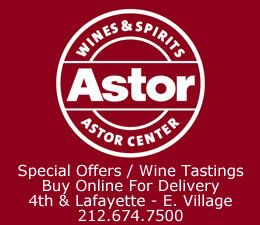 Click photo for contact info and address which 38th Street & Madison Avenue. 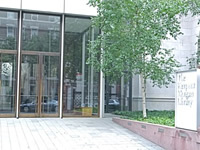 Click here for a short report on the Morgan Library & Museum. Exhibit related to the time of the Great Gatsby. Admission / Free Members. The Jung Center has a collection of things about Karl Jung and his writings. Click for The Karl Jung Center contact info, hours, map and a link. From 2.- 4 pm. Presentation / lecture about TBD. Admission $8 / $5 members. May 2012 - exhibit spaces [only] closed for remodeling. Admission $3 / $2 and children / kids under 10 free. 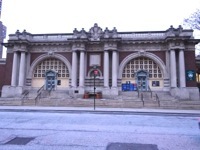 Click for Queens Historical Society in Flushing contact info, hours, map and link. Begins at 11 am at 44th Street and Fifth Avenue and ends at 79th Street and Fifth Avenue. It's the 253rd anniversary of this parade. Begins at 1.30 pm at 64th Street and Fifth Avenue and ends at 79th Street and Fifth Avenue. 7.30 & 9.30 pm shows nightly, plus 11.30 pm shows Friday & Saturday. Admission $35. 7.30 & 9.30 pm shows nightly, plus 11.30 pm shows Friday & Saturday. Admission $25 except Friday & Saturday $30. 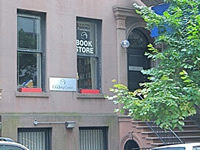 Jazz Standard is located at 111 East 27th Street in Manhattan. 212.576.2232. There are a number of free concerts in the parks during the summer months. More about these and other activities soon. FREE LIVE MUSIC IN Manhattan. This calendar contains events submitted by community & commercial organizations. Please ignore for the time being - this is a Queens Based Calendar. TBD - Coming Soon Click here to view an archive of things to do in Queens. Click to the Manhattan Neighborhoods section for related reports. Lunch begins at 11.30 am and the march at 1.30 pm. From UN HQ to Dag Hammerskjold Plaza. Rsvp. Manhattan parks are open year round - also see Social & Kids sections for park events. 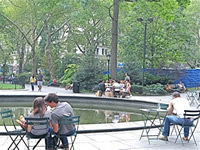 Click for a compendium of Manhattan Parks & activities. 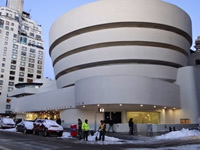 Click here for free things to do in Manhattan, Upper East Side, Midtown NYC, the Village NYC, Upper West Side NYC. Begins at 12 noon. Coming soon. At 42nd Street between 5th & 6th Avenues - behind NY Public Library on 5th. Open Monday through Friday 6 A - 10 P and Saturday 9 A - 5 P. Closed for important holidays. Bring padlock for locker and a change of clothes for athletics. Free admission. Click here for a map to the Stuyvesant Recreational Facility. About 23rd Street & East End. Golfing in Manhattan - also Queens golf courses and Mosholu and Van Cortlandt in the Bronx. Click this link or the header above for a complete listing of Street Fairs in Manhattan NYC. Begins at 9.30 pm. Comedy about governement that's nothing to laugh about. Admission $10 or $25 w/ open bar. Begins at 7 pm. Both modern plays, one about desire & attraction and the other about releasing the inner woman expressed through dance, theater & poetry. Admission $15. 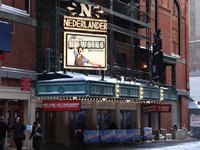 The Tank Theatre is located at 151 West 46th Street on the 8th Floor. 212.563.6269. 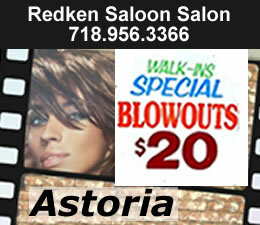 Click here to view things to do in Queens NYC.